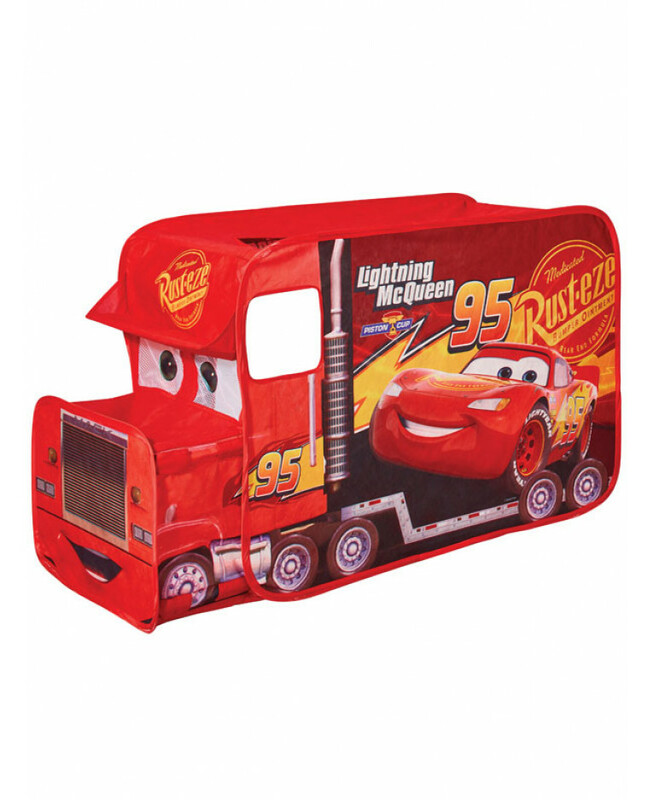 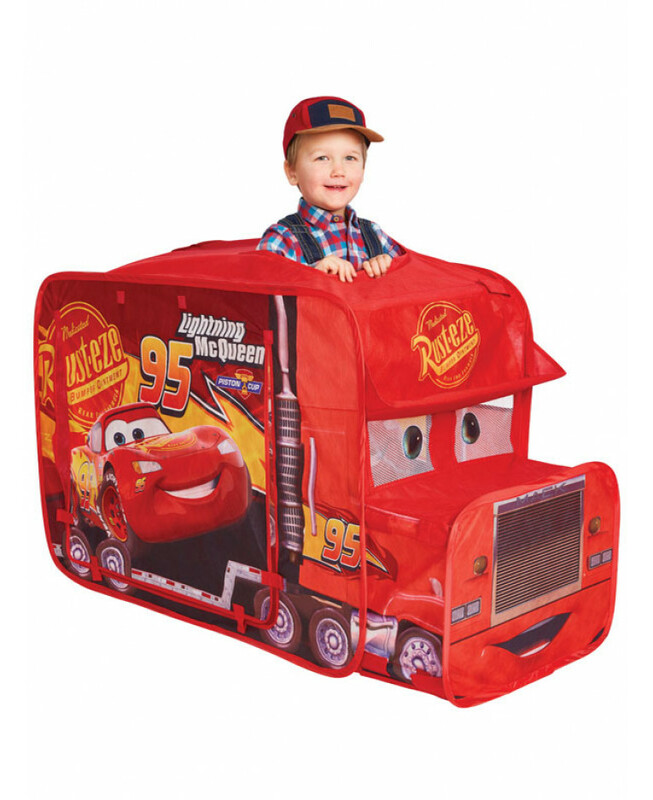 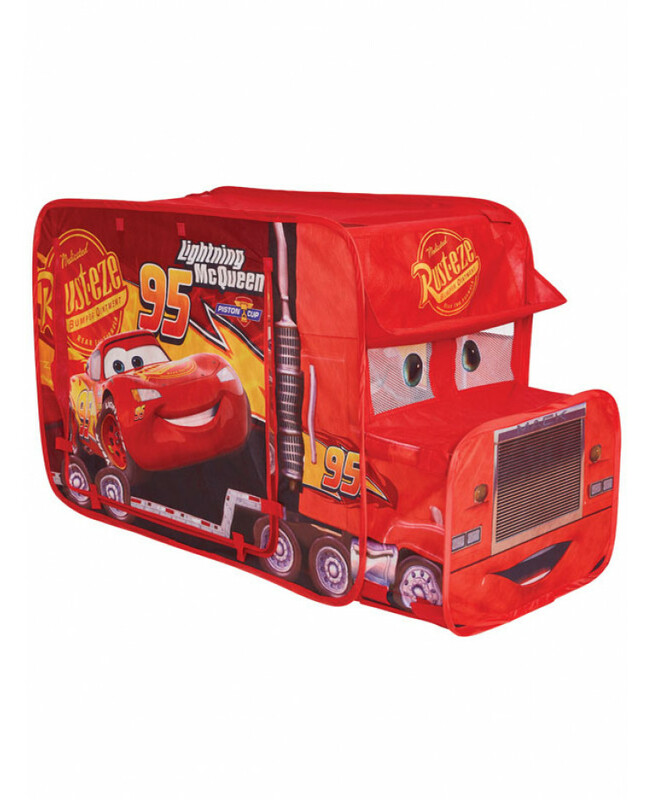 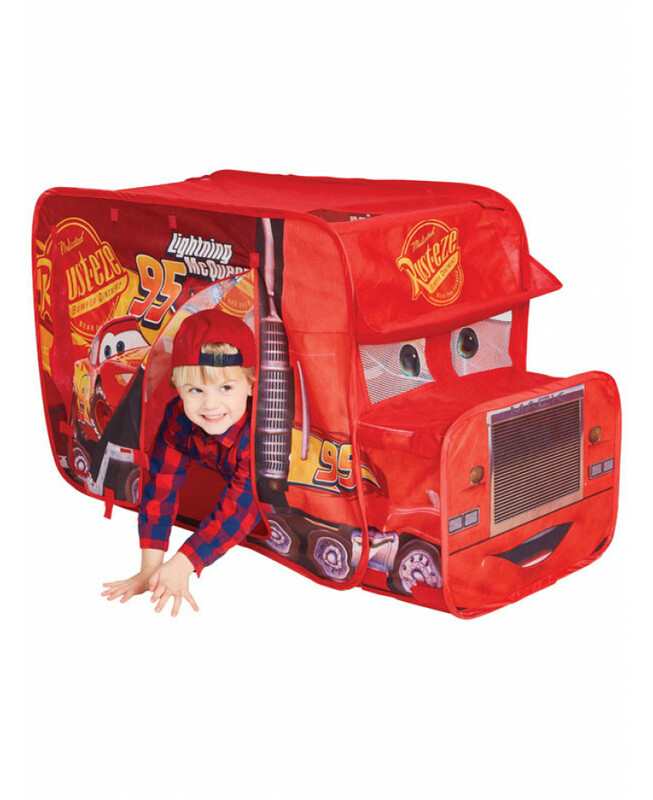 This cool Disney Cars Mack Truck Feature Tent pops up and out in an instant to provide hours of imaginative fun! 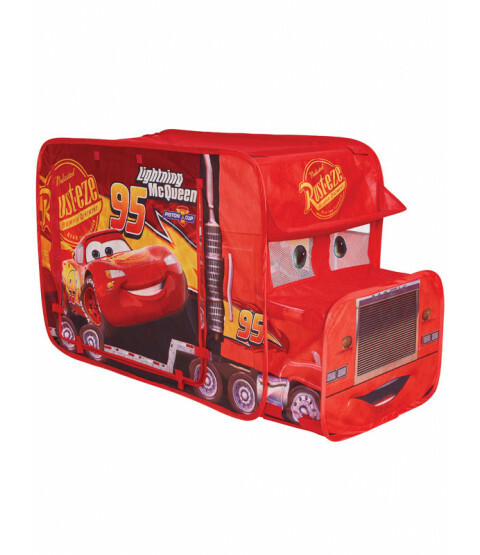 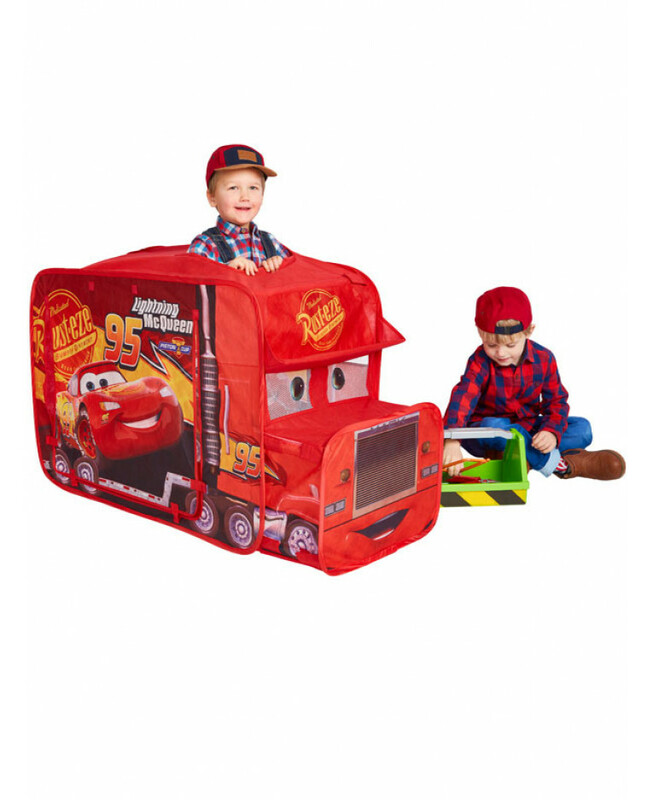 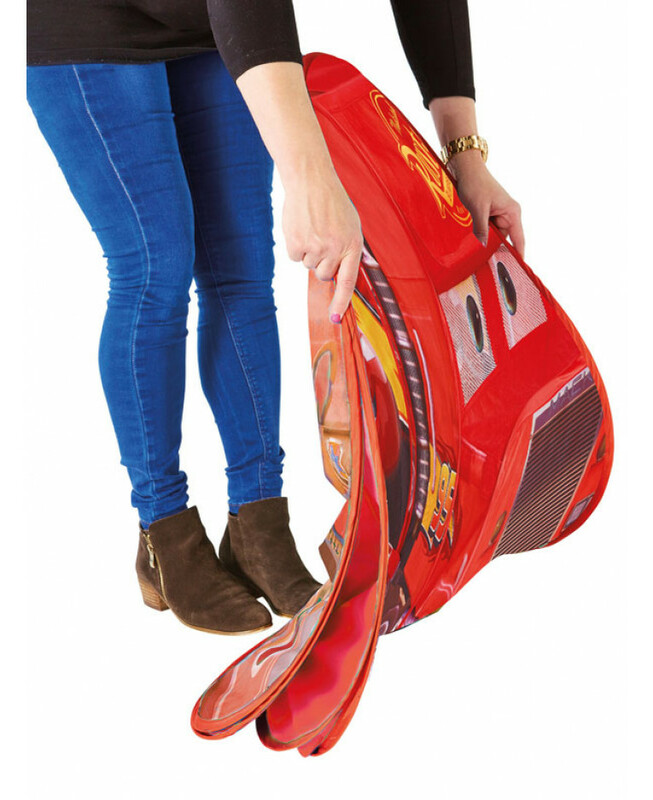 Cars fans will love the fun Mack Truck shaped design which features great Lightning McQueen graphics and a roll-up side door, mesh windows and a peek-a-boo roof. 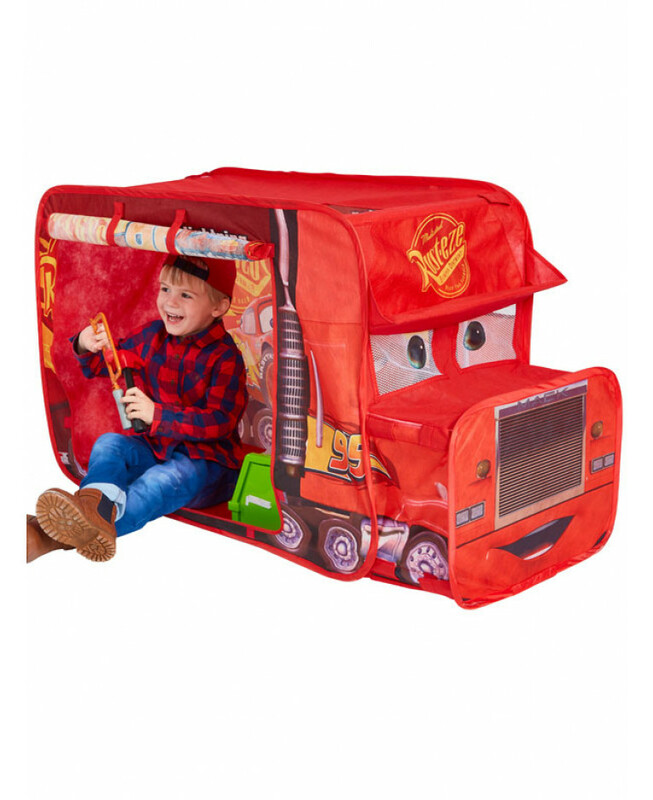 What's more, when playtime is over, the tent simply folds compactly away for the night ready to be popped up again the next day.